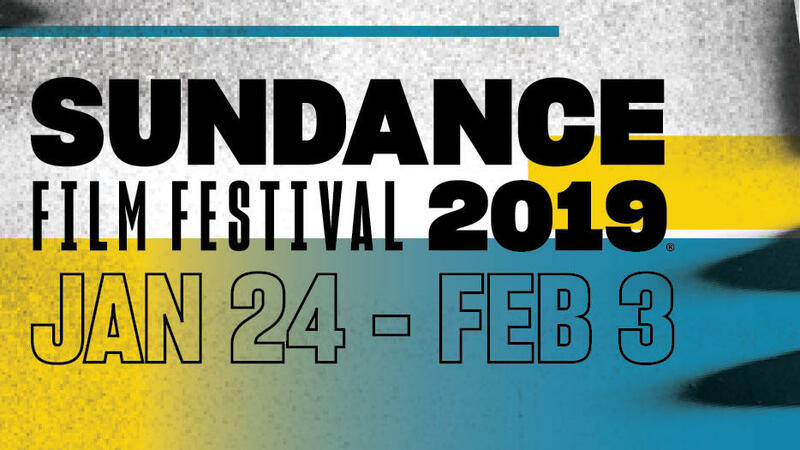 At a reception at the 2019 Sundance Film Festival today, the beneficiaries of $70,000 in grants from Sundance Institute and the Alfred P. Sloan Foundation were revealed. Doron Weber, Sloan Vice President of Programs and Director of the Public Understanding of Science and Technology program, presented the Feature Film Prize to The Boy Who Harnessed the Wind and announced the new winners: Skye Emerson for Challenger and Gillian Weeks for The New Miracle (Sundance Institute | Sloan Commissioning Grant); Anthony Onah for Goliath (Sundance Institute | Sloan Lab Fellowship); and Neilkanth Dave and Zachary Parris for DELTA-V (Sundance Institute | Sloan Episodic Storytelling Grant). Chiwetel Ejiofor’s The Boy Who Harnessed the Wind was formally presented with a $20,000 check for winning the Alfred P. Sloan Foundation Feature Film Prize, as previously announced. The awards were presented at an evening cocktail reception at High West Distillery. These activities are part of the Sundance Institute Science-In-Film Initiative, which is made possible by a grant from the Alfred P. Sloan Foundation. The sixteen-year partnership between the Alfred P. Sloan Foundation and Sundance Institute forms part of the Sloan Foundation’s nationwide Film Program, which includes support for six film schools and five screenwriting development partners and has resulted in over 20 completed feature films. In addition to Hidden Figures, originally supported by a Sloan book grant, the film program has long championed stories about women in science from Bombshell: The Hedy Lamarr Story to stories about Rosalind Franklin, Marie Curie, Lise Meitner and Jane Goodall. The program has also supported many works about the role of technology in daily life, including the impact of machine learning, robotics and artificial intelligence. Beyond the Sloan-supported feature film, The Sound of Silence, which premiered this year at Sundance, Sloan has supported films such as To Dust, The Catcher Was a Spy, The Man Who Knew Infinity, The Imitation Game, Experimenter and Operator, along with several new projects, including episodic television, in development. The program has also given early recognition to stand-out films such as First Man, Searching, last year’s recipient of the Feature Film Prize, and The Martian. The Boy Who Harnessed the Wind has been awarded the 2019 Alfred P. Sloan Feature Film Prize and received a $20,000 cash award from the Alfred P. Sloan Foundation at today’s reception. The Prize is selected by a jury of film and science professionals and presented to an outstanding feature film focusing on science or technology as a theme, or depicting a scientist, engineer or mathematician as a major character. The 2019 Sloan Feature Film Prize Jury was named on January 17, 2019 and includes Dr. Mandë Holford, associate professor in chemistry at Hunter College and the Graduate Center of CUNY; theoretical astrophysicist Dr. Katie Mack; screenwriter and producer Sev Ohanian; Lydia Dean Pilcher, founder of Cine Mosaic; and actor Corey Stoll. The Boy Who Harnessed the Wind / United Kingdom (Director and Screenwriter: Chiwetel Ejiofor, Producers: Andrea Calderwood, Gail Egan) — Against all the odds, a 13-year-old boy in Malawi invents an unconventional way to save his family and village from famine. Based on the true story of William Kamkwamba. Cast: Chiwetel Ejiofor, Maxwell Simba, Lily Banda, Noma Dumezweni, Aïssa Maïga, Joseph Marcell. Chiwetel Ejiofor is a BAFTA-winning actor whose recent credits include Steve McQueen’s Academy Award–winning 12 Years a Slave, Garth Davis’ Mary Magdalene and Marvel Studios’ Doctor Strange. Ejiofor’s forthcoming projects include the CGI reimagining of The Lion King and the Disney sequel Maleficent 2. His much-anticipated directorial debut, an adaptation of the book The Boy Who Harnessed the Wind by William Kamkwamba and Bryan Mealer, is expected for March 2019. Skye Emerson and Gillian Weeks will receive a $25,000 cash award from the Alfred P. Sloan Foundation at this year’s Sundance Film Festival for Challenger and The New Miracle. Previous winners include Alex Rivera’s La Vida Robot and Robert Edwards’s American Prometheus. Challenger (U.S.A.) / Skye Emerson (screenwriter) — When guarded, yet brilliant astrophysicist Sally Ride joined the first astronaut class to include women, her fight to get to space seemed her greatest challenge, but Sally's mission to find the truth about the Challenger explosion, and her own identity, would soon threaten her foundation, and her future with NASA. Skye Emerson is an accomplished screenwriter and filmmaker, recently receiving her Master of Fine Arts at UCLA's School of Theater, Film & Television. She is passionate about all things art and storytelling, emphasizing in her work strong female protagonists, as well as members of the world minority. She's an advocate for the oppressed, a voice for the voiceless and believes that film has the power to change minds and lives. Skye's lived multiple lives, including as a Project Manager, Sports App Developer and Volunteer Dog Walker. She shares her time between her homes in Salt Lake City and Los Angeles, which means that her wardrobe is in constant flux between snow boots and stilettos. Skye loves to read suspense novels and watch true crime TV, both of which have contributed to her growing insomnia and fear of basements. Feel free to reach out any time, especially at night, as she's usually awake. Awake and afraid. The New Miracle (U.S.A) / Gillian Weeks (Screenwriter) — The New Miracle is the story of three stubborn Brits who created the first test-tube baby in 1978 in Northern England, persevering through public scorn, repeated failures and predictions of certain doom. Gillian Weeks has turned to narrative film and television after a decade in the documentary world. She received the 2018 Sloan Filmmaker Fund Grant from the Tribeca Film Institute for The New Miracle, a feature script about the invention of in vitro fertilization. In addition, she has multiple features and series in various stages of development, including a drama series she created for showrunner Erica Messer and ABC Signature Studios. Previously, Gillian oversaw series development for Alex Gibney’s Jigsaw Productions. Gillian graduated with a BA in Political Economy from Williams College and Oxford University and is currently represented by Gersh. Anthony Onah will receive a $15,000 cash award from the Alfred P. Sloan Foundation at this year’s Sundance Film Festival for Goliath. Previous winners include Logan Kibens’s Operator, Michael Almereyda’s Experimenter and Marjorie Prime and Rob Meyer’s A Birder's Guide to Everything. Goliath (U.S.A.) / Anthony Onah (Director, Screenwriter) — The true story of a brilliant, outsider scientist—raised poor and black—who must prove the harmful effects of a popular weed killer before a chemical giant destroys him. Anthony Onah was born in Nigeria and raised in the Philippines, the United Kingdom, Nigeria, Togo and the United States. He studied biochemistry and neuroscience at Harvard University, where he was awarded the Hoopes Prize for outstanding scholarly work. Accepted at Cambridge University for graduate school in genetics, he instead transitioned to filmmaking. Onah was named one of Filmmaker Magazine’s 25 New Faces of Film in 2015, and his debut feature, The Price , received support from the Sundance Institute, IFP, Ford Foundation and Film Independent. The Price premiered in the Narrative Feature Competition at the 2017 SXSW Film Festival, screened at the 2017 Seattle International Film Festival, where it was nominated for the FIPRESCI prize in the New American Cinema Competition, and at the 2017 Indie Memphis Film Festival, where Onah won the Craig Brewer Emerging Filmmaker Award. Samuel Goldwyn Films and Orion Pictures purchased distribution rights, and released the film in theaters in November 2017. Neilkanth Dave and Zachary Parris will receive an $10,000 cash award from the Alfred P. Sloan Foundation at this year’s Sundance Film Festival for DELTA-V.
DELTA-V (U.S.A.) / Neilkanth Dave and Zachary Parris (Writers, Creators) — Set in and around NASA’s Space Center in Houston, Texas during crucial points in the development and life-cycle of the Space Shuttle program, Delta-V is a one-hour period drama set in 1972 that follows an Indian scientist and his newlywed wife as they are invited by top NASA officials to help build the future of manned spaceflight. Neilkanth Dave is a Los Angeles-based Indian American screenwriter. He graduated from the University of Texas at Austin and has worked on set with directors such as David E. Kelly, Anthony Hemingway, Peter Paige, and more. His feature script titled Asian Bad Boys is currently set up at Trimax Media. Neilkanth was a 2016 finalist at the Warner Brothers' Television Workshop for his spec Master of None episode and his original series pilot Flacko. In his spare time, Neilkanth works with the Young Storytellers Foundation—a program dedicated to teaching children in Title 1 schools the basics of storytelling. Zachary Parris is a Hispanic writer-director who has worked at the BAFTA award-winning studio Quantic Dream where he served as a segment writer-director for the PlayStation exclusive Beyond: Two Souls starring Ellen Page and Willem Dafoe, and penned the script for their PlayStation 4 title Detroit: Become Human. He recently worked as a consultant and senior writer for Ubisoft Studios in Quebec City and Singapore on their largest AAA franchise. A feature version of Zachary's short film ARCHETYPE is set up at Fox with producer John Davis and OSCAR-nominated producer John Norris. His project, Executable, finished in the top 1.9% of the Academy of Motion Picture Arts & Sciences Nicholl Fellowship. His latest feature project, King, is currently casting. Sloan's Film Program encourages filmmakers to create more realistic and compelling stories about science and technology and to challenge existing stereotypes about scientists and engineers in the popular imagination. Over the past two decades, Sloan has partnered with some of the top film schools in the country - including AFI, Carnegie Mellon, Columbia, NYU, UCLA and USC - and established annual awards in screenwriting and film production, along with an annual best-of-the-best Student Grand Jury Prize administered by the Tribeca Film Institute. The Foundation also supports screenplay development programs with the Sundance Institute, Tribeca Film Institute, SFFILM, the Black List, and Film Independent’s Producing Lab and Fast Track program and has helped develop such film projects as Michael Tyburski’s The Sound of Silence which premiered this year at Sundance, Shawn Snyder’s To Dust, Ben Lewin’s The Catcher Was a Spy, Morten Tyldum’s The Imitation Game, Matthew Brown’s The Man Who Knew Infinity, and Michael Almereyda’s Experimenter. The Foundation has also supported theatrical documentaries such as The Bit Player, BOMBSHELL: The Hedy Lamarr Story, Particle Fever, and Jacques Perrin’s Oceans. The Foundation has an active theater program and commissions about twenty science plays each year from the Ensemble Studio Theatre, Manhattan Theatre Club, and the National Theatre, as well as supporting select productions across the country and abroad. Recent grants have supported Charly Evon Simpson’s Behind the Sheet, Chiara Atik's BUMP, Lucy Kirkwood’s Mosquitoes, Nick Payne’s Constellations, Lucas Hnath’s Isaac’s Eye, and Anna Ziegler’s Photograph 51. The Foundation’s book program includes early support for Hidden Figures: The American Dream and the Untold Story of the Black Women Mathematicians Who Helped Win the Space Race, the highest grossing Oscar-nominated film of 2017 and the recipient of the Sloan Science in Cinema Prize at the San Francisco Film Society in December 2016. For more information on the Sloan Foundation, visit Sloan.org.